River front Ahemdabad, Ahmedabad, India 380001. 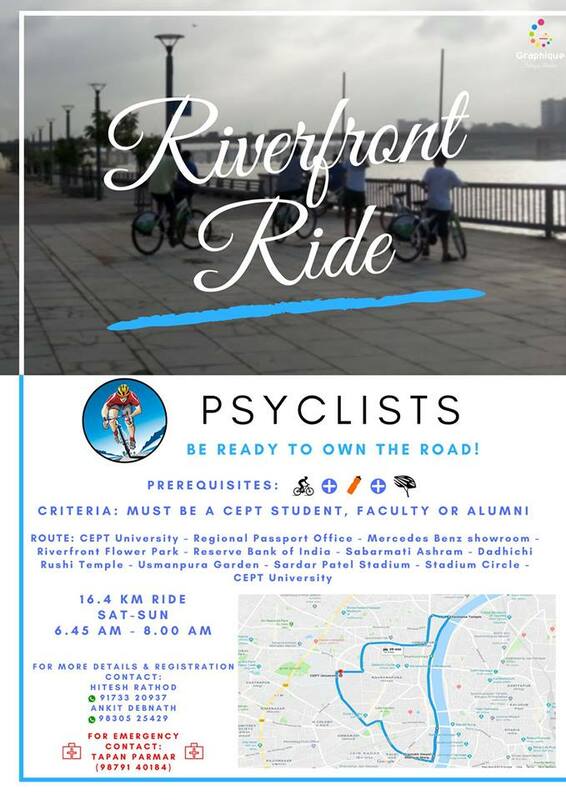 The 17th ride will happen on the 20th of January – Saturday. Note: Those who do not have bicycle please Download the MY BYK App and fill the details, go to the MY BYK store located near to SSO*. You can hire cycles from MY BYK. Method: Ride together in a group. Do not disturb the regular Traffic. Please get a bottle of water for the ride. If you have any questions/suggestions, write back to us. Come and join us – Please spread the word out as well. Hope to see you all on Saturday!